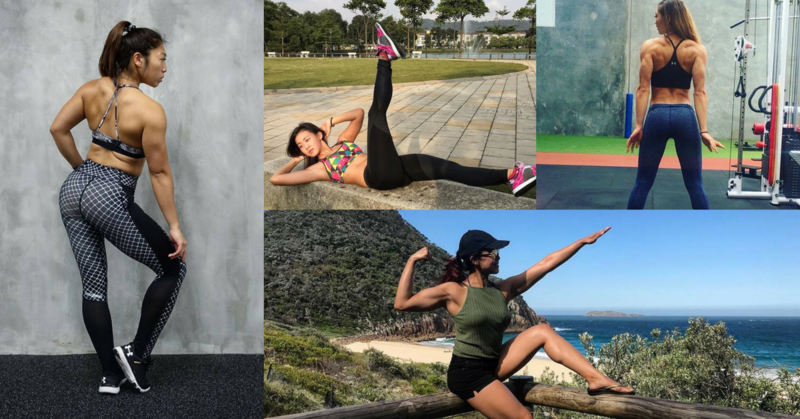 8 Health & Fitness Instagramers For The Fitness Nuts + Their Advices! You know those days where you want to get out and work out, but can’t seem to find the will to? The bed is a tempting place to lay for an entire day, with some Netflix and chips, but we all need a little push. So here’s a list of strong, inspirational ladies who will ensure you are motivated everyday! Andrea is a part-time model, entrepreneur and fitness trainer. She went from being a girl-next-door to a fitness model 2 years ago when she started going to the gym regularly and switched to a healthier diet. This change of diet has also led to her discovery of nut butter spreads, which were also popular amongst fitness models in Australia. She also said that she would always take up new projects, with her most recent one being making terrariums. Sherlyn first realized her dream of owning a business when she founded Twenty3. Currently, she’s working towards her dream of living a fit and healthy life. Her motto has always been “The beauty in perseverance” and she has inspired many to never give up on what they want. Nana has always been an active girl who has been a part of the Selangor State Track and Field Team during her secondary school years and she was also crowned the Best Sportswoman of the Year when she was only 15. She is now a freelance fitness model and motivator with an Instagram filled with photos of her abs, videos of her working out and ideas for Malaysian-inspired healthy meals. A jack-of-all-trades, Angeline is a photographer, blogger, yoga instructor and personal trainer with a fitness background of over 17 years. If one needs to learn yoga, one would search for Angeline who posts her yoga poses long with motivational quotes and snapshots of her everyday life on her Instagram. Linora is a host of The MIXBlitz and the MIX Sweat Club on MixFM where she is a celebrated radio talent. She’s also a fitness personality who has emceed for a number of events including Spartan Race and Colour Run Malaysia. She’s known to be an enthusiastic person who has a passion for fitness. Her Instagram is also filled with amazing heavy lifts, updates on fitness events and also occasional reminders that women can do what men can do, and sometimes they do it better. Known to be bright and bubbly, Joanna lives a healthy life and also strives to prove to everyone that it can be really fun. This real and positive lady is a certified personal trainer, nutritionist, and women’s fitness specialist. She is also a popular YouTuber who shares her workout videos, meal plans and tips on building a positive image. This graduate in Marketing from Monash University is also a certified by the Australian Strength Performance for Fat Loss Bootcamp as a bootcamp instructor. Hanisah’s passion lies in helping others reach their physical health goals as well as enhance their self-esteem. She began coaching fitness in 2014 and has appeared on television, giving advise on living and maintaining a healthy lifestyle. She also loves sharing her experiences with you and strongly believes that to hit your goals, you have to be determined, sweat like hell and also put in a lot of hard work. Soraya is one of the nominees for Influence Asia 2015 in the Health and Fitness category, and represents Malaysia. She also has over 52k followers on her Instagram and showcases her yoga poses on her account alongside her advices for life. This yoga enthusiast can teach you anything and everything about yoga. Who is YOUR favourite heath and fitness nut?